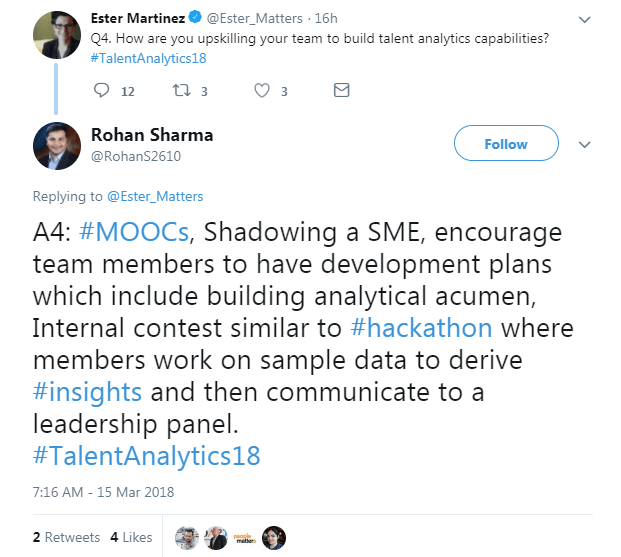 The tweet chat on business driven enterprise-wide talent analytics garnered a cluster of essential discussions on some of the critical shifts in the talent analytics domain. Take a sneak-peek on some of the intriguing tweets by eminent HR leaders. There has been a paradigm shift in the focus from traditional metric based approach for justifying HR effectiveness to strategic initiatives like real-time sentiment analysis, sales productivity, workforce planning to address resource gaps, high-potential retention and much more to impact the business directly. 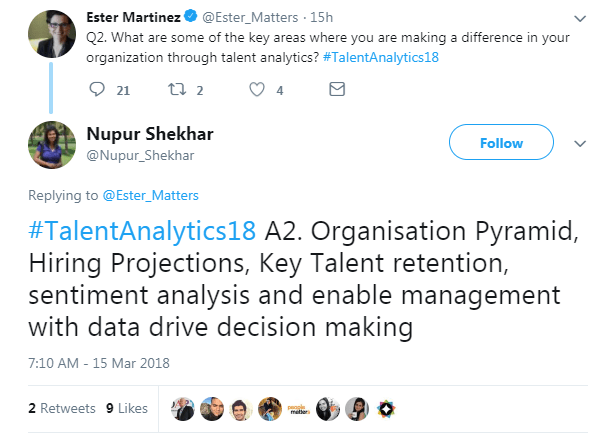 People Matters hosted an exciting tweetchat as a precursor to Talent Analytics Conference 2018 in Bangalore, this March. 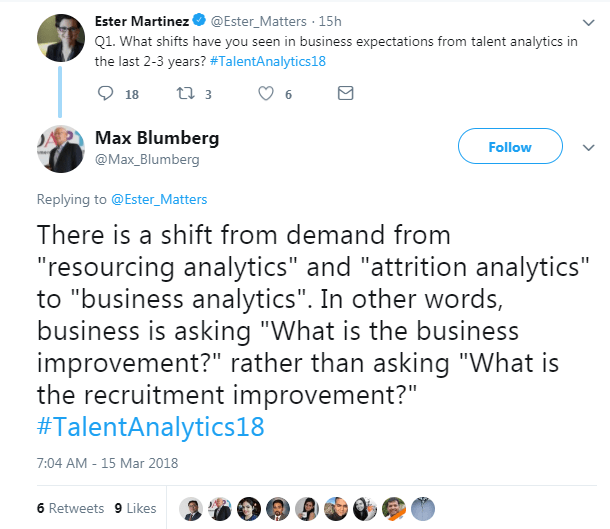 This tweetchat focused on some of the key shifts in the talent analytics domain and what are leading organizations doing to re-define the focus. Q1. 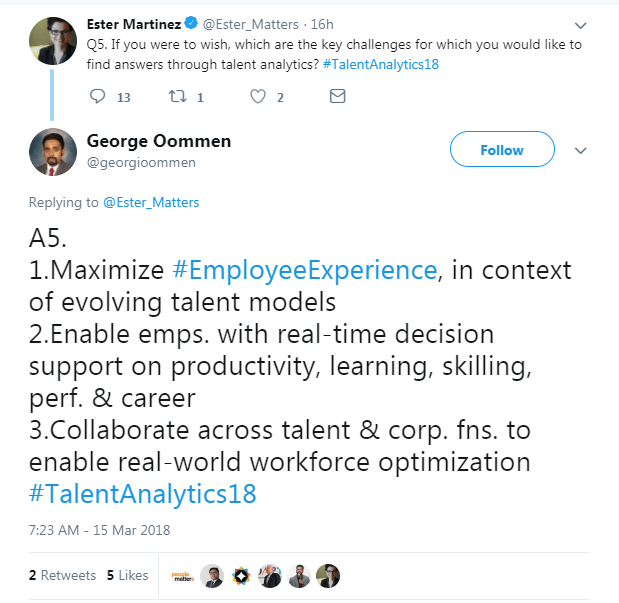 What shifts have you seen in business expectations from talent analytics in the last 2-3 years? Q2. What are some of the key areas where you are making a difference in your organization through talent analytics? Q3. 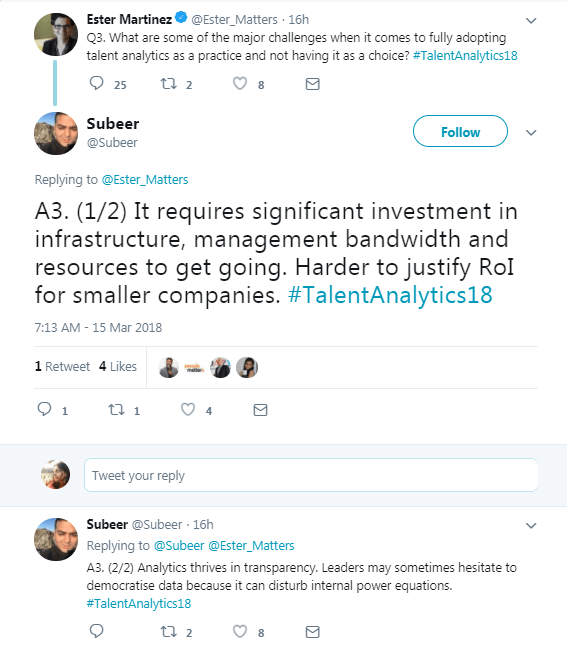 What are some of the major challenges when it comes to fully adopting talent analytics as a practice and not having it as a choice? Q4. How are you upskilling your team to build talent analytics capabilities? Q5. If you were to wish, which are the key challenges for which you would like to find answers through talent analytics? 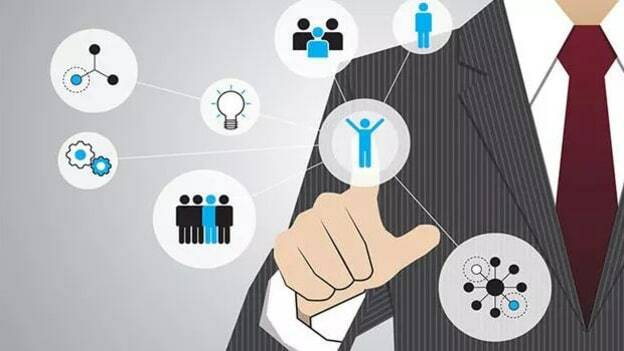 Is Talent Analytics fueling the HR processes?